Before the beginning of my Montessori journey thirty three years ago, I worked with children and adults with Special Needs. When my two sons were born, they became the catalysts for joining with Marsha in founding Nova Montessori. I saw the importance of schools in shaping children’s lives, intellects and world views, and readily embraced Montessori’s approach to education. It has been an amazing journey of discovery ever since. Nova has played a dominant role in this wonderful journey and I feel incredibly privileged to be working alongside such amazing children, educators, administrators and parents, all of who participate in the ongoing dialogue of life at Nova Montessori. It was over 11 years ago I first walked into Nova Montessori School as a visiting teacher, it was at that point I decided to not only be a visitor, but to actually teach at Nova. Through my commitment to the children and the Montessori approach to education, life and learning I finally realised my dream of being here at Nova. Nova is the one place I come to, to be rejuvenated as a Montessori teacher and as a human being. It not just touches my heart but the hearts of many. It is a place of learning, which invites the potential of all children and parents to unfold. Nova brings to one’s conscious awareness the inter-relationship of it all. It is an educational community of teachers and learners. I am a Montessori early childhood and primary trained teacher. I work with children of all ages in the school. I have three children two of who went to Montessori early childhood services, and my youngest attended Nova primary school and is currently studying at Otago University. Kia ora! Ko Jamie Rea Cortez ahau. 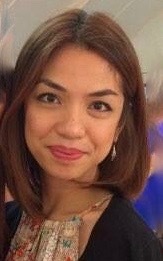 I am Jamie Cortez and myself and my family migrated from the Philippines to New Zealand in 2008. Having grown up with five siblings and five nieces and nephews, being in a large group and caring for several children comes naturally to me. Gaining teaching qualifications, combined with my deep love of Montessori, helped me to further understand how to guide and nurture children’s natural laws of human development. 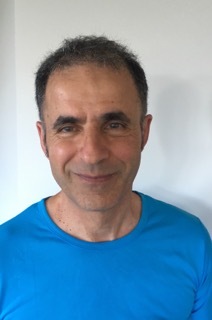 I then went on to discover Nova Montessori and can say hand on heart that it is an incredible privilege to have this opportunity to be part of such a unique and true Montessori community as I see and experience the deep real magic of Montessori everyday with the children and families. In a previous life I was a tailoress for a designer in Auckland. 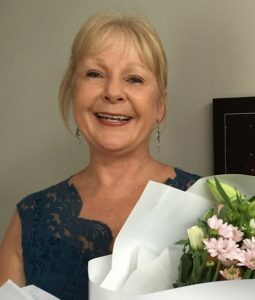 When my husband and I moved back to Christchurch with our young family I started teaching preschool music classes and this led me to studying early childhood education. Ten years ago I walked into a Montessori classroom while I was on teaching placement and I fell in love with the Montessori approach to life and learning. Up until that point I hadn’t experienced the peace and respect that I observed that day in any early childhood setting I had previously been in. I therefore went on to follow my passion and continued with my Montessori studies which lead to achieving a Montessori Diploma. I haven’t looked back. My passion for working alongside children grew from a visit to the preschool I had attended, as a Careers Day opportunity. I knew then that working with children was my calling. I studied Montessori 0-3 and 3-6 in Pretoria, South Africa and a few years later came to live and work in New Zealand where I met my husband. After having our two children, I continued working in Early Childhood environments, where I went on to gain a New Zealand teaching degree. As my children grew older, I became fascinated with Montessori Primary education, and chose to extend my learning by studying 6-9 and 9-12 Montessori, gaining qualifications in Montessori including NZ primary teacher registration. Today I am still equally fascinated, and love working and learning with primary aged children. At Nova, I feel that I can learn, grow, and teach/guide in the best way imaginable. Nova feels profoundly like my true calling. I am very privileged to work alongside my colleagues and the Nova children and families who contribute in making Nova the special environment it is. When I began studies toward a Bachelor of Education I was planning to build a career as a primary school teacher. Along the way I discovered the insightful words of Maria Montessori and the profound legacy that is the Montessori approach to education. Since then I have not looked back as my passion and inspiration for education and for life are renewed every day through what has grown from a career as a teacher into a vocation. 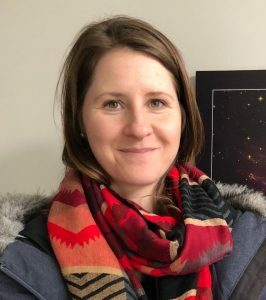 I feel privileged to be here at Nova, as a Montessori teacher/guide in the 6 to 9 Learning Community, where I can share my love of learning with the amazing children, parents and staff as we enjoy the wonders of the universe. 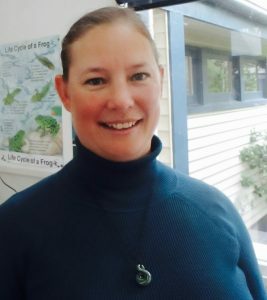 Hello, my name is Nicola Gresson, (Nicky), and I am very happy to introduce myself as a guide/teacher, (alongside Leah Brooks), for the 9-13 class at Nova Montessori School. My professional background in education spans 20 years in a variety of roles. Originally trained as a New Zealand state primary teacher, I taught at a private girl’s school in Wellington, and then a co-ed state school in North London. I have also worked internationally as an ESOL teacher with children aged from 3-16years, in Switzerland, Turkey and South Korea. My journey at Nova Montessori School began in a voluntary capacity in 2001 for what was then a small satellite class in New Brighton, called Nova New Brighton Montessori Primary School. I work for a term with the then principal, Vicky Lumsden and was so inspired by this community of learners that I decided to train in Montessori primary education. I gained a qualification through the Montessori Institute of Education was fortunate to continue in a more permanent role within this beautiful school, working with both in the 6-9 class with Pauline Matsis and in the 9-13 classroom with Marsha Morgan and Phil Gang, and now with Leah Brooks, for a total period of twelve years. I continue to be passionate about and deeply committed to the educational philosophies and practices developed by Dr Maria Montessori and her son Mario Montessori. When my daughter was born, my reading about parenting and education led me to the Montessori approach, and my Montessori journey began. Alongside my daughter’s Montessori early childhood experience, I completed my Montessori early childhood training. Once she entered Montessori primary, I also commenced my own training in Montessori primary and intermediate education. I was motivated by my love of learning and my desire to inspire this love in both my children and others. My association with Nova has spanned 15 years in a number of roles, both as a parent and a staff member. It have been a joy to be a part of the lives of so many Nova families. In addition to my work at Nova, I also providing editing assistance and support to students enrolled in the Institute for Educational Studies Master of Education in Montessori Integrative Learning. It is a privilege to encourage and support a new generation of Montessori teachers. 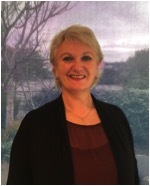 I arrived in Christchurch in 2003 from Scotland to study for my Graduate Diploma of Teaching. I came to love New Zealand, married a Kiwi and now we have two wonderful young children. From the moment I observed in my first Children’s House, I knew the Montessori approach was what I wanted for my children and for myself as teacher. In 2013 I began to study for my Montessori Diploma and was so fortunate that part of this took place at Nova. From the sense of peace and opportunity that I felt on simply being in the classrooms to the nurturing and welcome embrace of the Nova people, I knew I wanted to be part of this inspiring community. Magenta Wilde is Nova’s permaculture gardening teacher. Magenta is a local woman with a wide range of skills and interests. 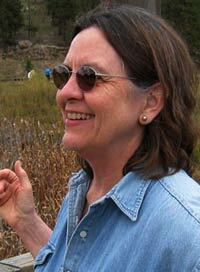 Magenta studied and practiced permaculture for many years and loves sharing her knowledge with young people. She also studied natural medicine and nutrition and includes these skills in an holistic approach to gardening and health. Magenta not only supports the children by introducing all aspects of permaculture gardening, but teaches the children essential life skills for the future combined with the love of learning in the natural environment. 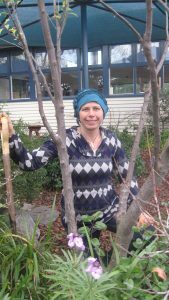 Magenta is a much respected and sought after permaculture advisor and teacher. We attribute the beautiful grounds at Nova to the years of dedication and care from John Allen. To learn more about John please visit the link below. My university education was in accountancy but I had little interest in pursuing Accounting as a full time career. Maybe thirty-three years ago I attended a talk with Pauline on Montessori Education. The talk by Binda Goldsbrough inspired me into a life as a Montessori teacher. It seemed to me that if even half of what she said was true, it was a wonderful thing. Yet, I took nothing for granted and had to find out for myself what was true. One could speak of developing inner discipline within children but would it work within the classroom? I gained my teaching diploma (ECE) and Montessori diploma and spent my next twenty years working in a Montessori preschool. I was completely inspired in my work. What I discovered was that what needed changing most was inside myself. Montessori education and working alongside children was the perfect catalyst for that. I left Montessori education ten years ago but the inner work continues and I am still excited to explore the frontier and the, ‘what next’ in education. Being involved in the background of Nova school and alongside Pauline, Shubha and Phil gives me the opportunity to examine those questions. Professor Gang is Academic Dean for the Master of Education (M.Ed.) 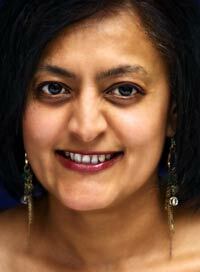 program and author of Rethinking Education and Conscious Education: The Bridge To Freedom. He is part of the Core Faculty and founder of TIES. He is also the developer of Our Planet, Our Home, a hands-on material for exploring relationships on Earth. 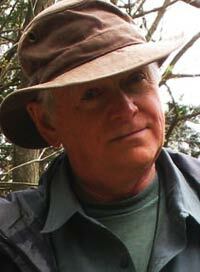 He also appears in Russell DeCarlo’s anthology, Towards a New World View: Conversations at the Leading Edge. After a ten-year career in engineering and business, Gang returned to school to become a Montessori teacher. He has been a Montessori school head, consultant and educator of teachers. In 1978 he helped initiate the National Erdkinder Consortium – a group dedicated to founding Montessori secondary schools. Transformative Learning. This was the first collaborative on-line program of its kind. Today, Gang’s major interest is exploring eco-cosmological patterns and their implications for the human journey. 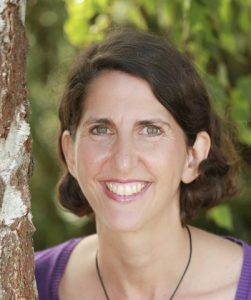 Professor Morgan worked as a Montessori teacher, school director, educator of Montessori teachers, consultant, and workshop leader. These initiatives took her through Europe, South America, North America and the Pacific Rim. 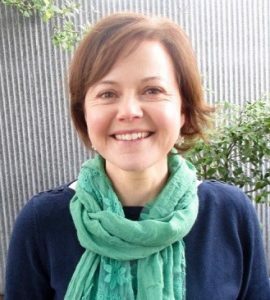 In New Zealand she worked on the Organic Cities Trust at Christchurch and was instrumental to creating and facilitating the Kids Edible Garden Project – a program to place permaculture gardens in government schools. 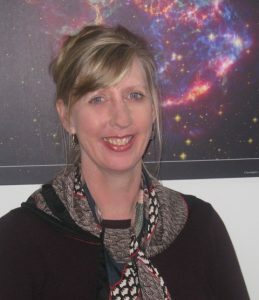 She was the 1989 co-founder of Nova Montessori School, in Christchurch. Philip and Marsha are also the creators of EarthTies, a virtual web-conferencing network promoting “The Great Work”.